Patriot International is the number one provider of special piping equipment and training for the oil, gas and energy sectors. Within Patriot International an excellent opportunity has become available. 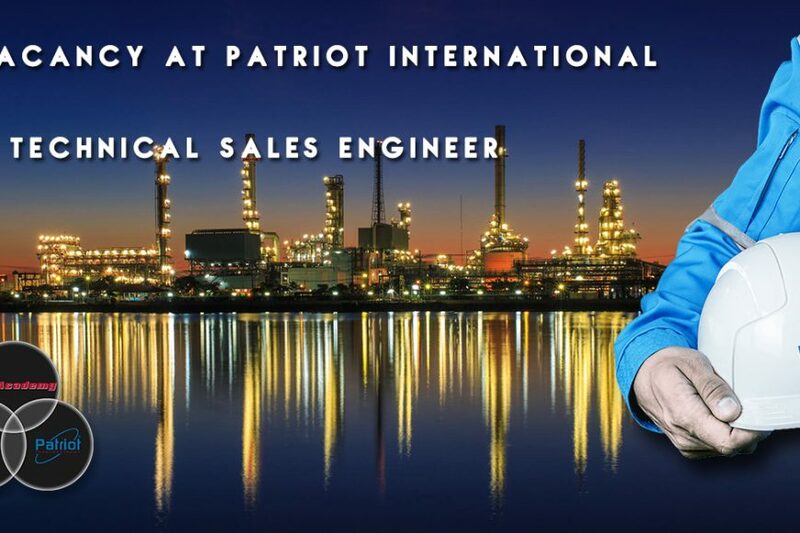 The candidate will be our new Technical Sales Engineer and become responsible for generating new business for Patriot International. As Technical Sales Engineer you’ll be often the key point of contact with our clients, answering queries, providing technical advice and introducing new products / services. As our Technical Sales Engineer you’ll be responsible for maximising sales opportunities in the UK and even beyond. You possess a sophisticated level of technical expertise that demonstrates why we are on top of our game. This will require use of technical expertise within the oil, gas, energy and petrochemical market. Please send your cover letter, resume and salary expectations to the following address: [email protected] citing ‘Technical Sales Engineer’. If you’re interested and match our requirements, we would love to hear from you. Site Services Technical Authority – We are looking for you! Do you have the right attitude? Are you determined, not afraid to attempt the difficult? And do you come from the United Kingdom? Then we are looking for you. Also, do you have experience in working within the Oil & Gas Industry? Which includes Oil & Gas (refinery/pipeline), Petrochemical, Chemical and Power Plant? Good! Keep reading. Polaris Specialist Service Solutions is the Number One provider of dedicated manpower for the Oil, Gas & Energy industry. We aim to raise the standards against which others will be judged. We will build upon a team of people that have attitude, determination and who will not be afraid to attempt the difficult and in doing so, will become capable of achieving the impossible. Patriot International is the number one provider of special piping equipment and training for the oil, gas and energy sector. We strive to raise the standards against which others will be judged. We build upon a team of people that have attitude, determination and who will not be afraid to attempt the difficult and in doing so, will become capable of achieving the impossible. To coordinate with all site technicians and together with the Training Manager and Polaris Team Leaders, design, plan and implement training schedules for the technicians in order to improve and develop their skill sets. To provide technical assistance to Polaris Team Leaders to ensure that the site teams have adequate equipment, tooling and engineering support in order that the project runs smoothly and efficiently. 5. To develop, maintain and look to improve the team spirit of the site technicians by holding regular meetings in order to gather information and give feedback on actions which have been completed. Ensuring the involvement of technicians at all times. Does the above appeal to you?